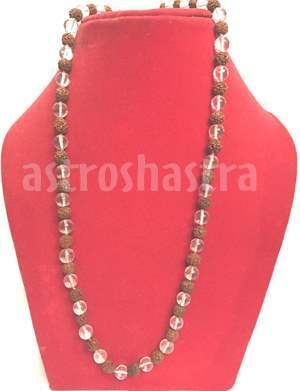 Highly energised and siddh mala 3 comprising 2 beads each of three , four , five , six , seven mukhi in the rosary of small five mukhi , making a siddh mala of 108 beads and is very usefull to control the high or low blood pressure. 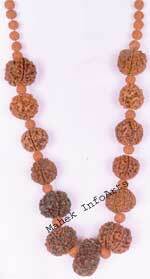 This rosary is recommended for every person who desires be fit and fine for their life. 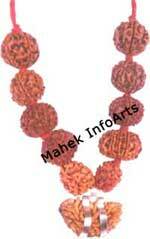 Five mukhi represents Lord Shiva and is very effective in the elimination your enemies. 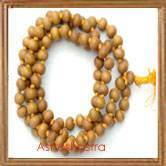 All five Brahmas are pleased with the devotee who wears this Mala. 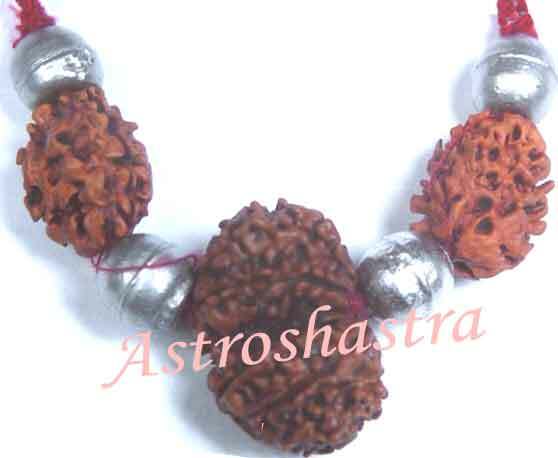 Lord Rudra also give success in all the efforts made by such a devotee. Diseases do not come near the wearer of it. 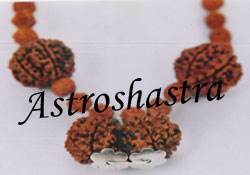 One who wears these five faced obtains all kind of riches and prosperity. Persons suffering from high blood pressure get relief by wearing these but one should select them very carefully, or better they take the help of experts. 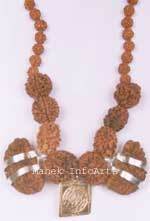 It helps in diseases pertaining to lungs, heart and blood.